Memorial Day is coming up, and summer is just around the corner! 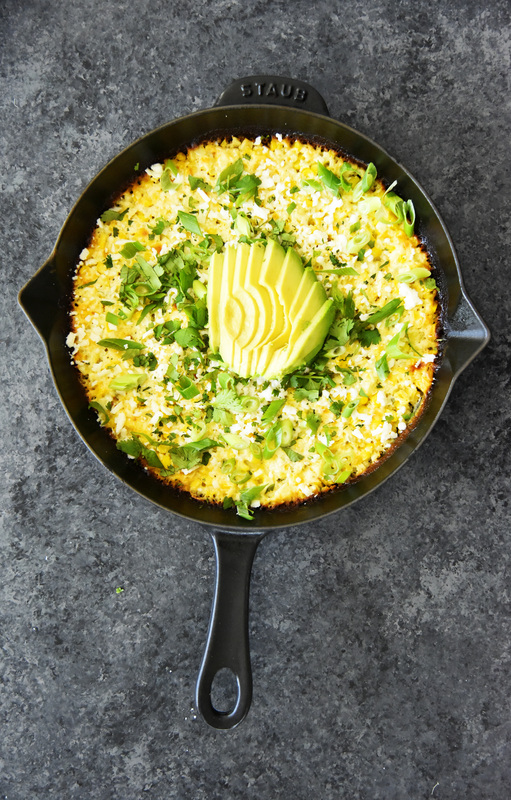 We've partnered with Shun Cutlery to develop this Mexican Street Corn Dip that's perfect for summer entertaining. This cheesy dip has just the right amount of spice, and it's ready in no time. Enjoy with crispy tortilla chips and a refreshing cocktail! To make your life easier, we're sharing one of our favorite knife hacks: Cut corn in a bundt pan to catch the kernels from falling all over the place! Shun's Chef Knives cut through corn with ease, making prep time quick and effortless. See for yourself in the video below! Preheat the oven to 375˚ F. Combine the corn, jalapeño, garlic, mayo, greek yogurt, cream cheese,lime, cheese and spices in a large bowl. Season to taste with salt and pepper. Butter a 9 inch cast iron skillet, then scrape the corn mixture into the pan. Bake for about 30 minutes or until the dip starts to bubble and turn brown around the edges. Garnish with Cotija, scallions, cilantro and avocado. Serve warm with tortilla chips.